When you are trying to maintain enthusiasm and coordination in your team, whether its a small co-located group or a large virtual community, it is critically important to keep your messaging consistent at all levels of delivery and, in all methods of delivery. Whether the message is being formalised in newsletters and announcements, conveyed in team meetings, one on one discussions or simply shared when chatting at the water cooler or coffee bar, the messaging delivered must be consistent with the aims of the project and, more than anything, it must be delivered consistently and repetitively, both in words and in actions by everyone in the project. This need for consistency applies also to the way leaders behave. If you, as a leader, expect your personnel to be relaxed and open in the way they interact and perform, and if you want them to feel relaxed and comfortable working on the project, you must try to look and behave relaxed when they can see you. So, rushing between closed door meetings with a concerned expression on your face is not, therefore, congruent with this message of relaxation, it will only lead to confusion and concern in the team and wasted time as people try to work out the real message they should be getting. This act of staying on message is perhaps most publicly demonstrated by politicians. When a politician has a message they want to get out, be it a new initiative they are pushing, a general party line they follow or an attack on an opposing party. In every situation, with every question they are asked, their comments, statements and responses are to return to their message of the day. While to the observing public this behaviour can start to appear as a comical exercise, it ensures that the media does not have an opportunity to exploit any cracks in their message and it shows at least a facade of alignment and consistency to the public. One additional skill many leaders can develop is to use their body language and level of activity to build a sense of urgency within their team. Maintaining consistent messaging in your public and project statements will go a long way, but acting in accordance with your words can be a great amplifier. So, if you need your team to act a little more urgently, move a bit quicker and engage in discussions at a highly focused and enthusiastic level. Your colleagues will notice the level of activity and as long as it does not seem false, will subconsciously mirror it in many of their behaviours. Whatever your messaging, your words and actions must be believable. I have seen too many projects start to go bad when leaders set completely unrealistic goals. Often referred to as “stretch targets” or “stretch goals“, these goals can, on occasion, be simply unrealistic and fanciful. Unrealistic goals leave personnel feeling that no matter how hard they work, their efforts will never be fully appreciated. Personnel will begin to lose faith in the leadership of the project and, if they believe the goals are completely unachievable, will start to reduce their effort, believing that whatever they do, it will not be enough. In the project world, where, thankfully, the scrutiny is generally less intense but still present, it is equally important to keep the focus of the project team on the key current requirements as well as maintaining a focus on the long term project goals. One of the methods to do this is for the key leaders such as the project manager/director and their direct reports to maintain this consistency of message, any infighting and disagreement should be kept out of sight of the team behind closed doors, since any visible discord will be noticed and magnified. This magnification can result in confusion, second guessing and misdirection in the team and, eventually, problems developing in the overall project delivery as well intentioned personnel try to understand the real plans for the project. Often, where projects may be experiencing some internal or external pressures or troubles, where there is visible disagreement between the project principles, this discord begins to snowball into lost productivity, disagreements at lower levels in the project team and increased departures of personnel from the project team as staff become frustrated in their efforts to deliver their aspect of the project. While disagreements are inevitable in all projects, the way disagreements are managed and controlled can make enormous differences to the feeling of harmony and, therefore, the team spirit in the project. 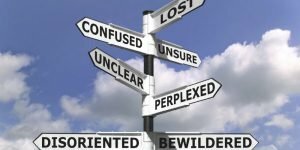 Do you have experiences with messages getting confused in virtual teams you would like to share? If so, we would love to hear from you.